There are so many items lying around your house that you probably don’t make full use of. Now that Nigeria is officially in a recession, every item needs to live up to its full potential. Here are amazing uses for these everyday items that you probably never thought about. Apply a tiny amount to your jewellery and use a toothbrush to gently clean. 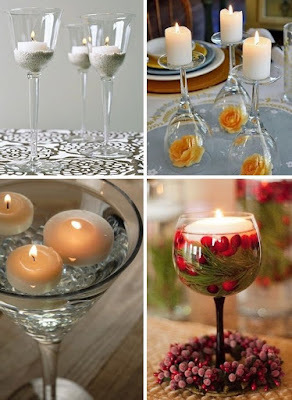 Put candles on the bottoms of wine glasses. Dip old newspapers in cleaning solution and wipe windows in a circular motion for sparkling windows. 4. Aluminium foil- Pot cleaner. Use aluminium foil to scrub stubborn stains off pots. Sprinkle some baby powder in areas where you want to get rid of ants. Organize stray plastic bags in an old tissue box. Clean out scratches on wooden furniture by rubbing some olive oil on it with a cloth.